A ranch for horseshoe crabs could soon help corral drug resistant bacteria. It’s the brainchild of a life science team at Greensboro-based Kepley BioSystems. NCBiotech RTP office closing at 4:30 p.m.
Because of tropical storm conditions, NCBiotech's RTP office will close at 4:30 p.m. today, Thursday, October 11, 2018.
bluebird bio, a gene therapy company with operations in Durham, has passed a regulatory milestone for its potential treatment of an inherited blood disorder. RTI International has dedicated a new $67 million headquarters building on its Research Triangle Park campus as it marks its 60th year of business. Brii Biosciences, a new biopharmaceutical company with North Carolina roots, has been named to the Fierce 15, an annual listing of notable bioscience startup companies published by the industry publication FierceBiotech. The North Carolina Biotechnology Center’s Piedmont Triad Office is welcoming Gregory Burke, M.D., Stephanie Dance-Barnes, Ph.D., and Joseph Graves Jr., Ph.D., to its regional advisory committee at its October meeting. The world needs a new paradigm for how to feed this planet. 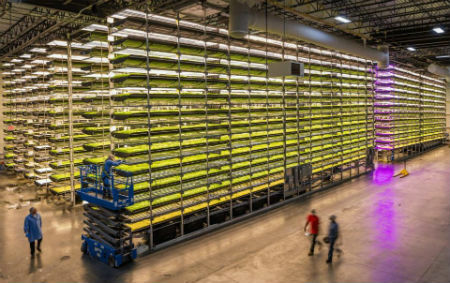 Participants in the North Carolina Biotechnology Center’s Ag Tech Professional Forum this week discussed how controlled environments, ranging from shipping containers to huge urban warehouses, offer one way to do more with less. Cambrex Corp., a contract manufacturer of small-molecule therapeutics, is expanding its facilities and workforce in High Point to meet growing demand for its services. Morrisville-based airway products company Circassia is breathing a sigh of relief over a decision by the giant AETNA health insurance company that the NIOX, one of Circassia’s key asthma products, is “medically necessary. Mispro Biotech Services, a Quebec-based preclinical services company offering research animal vivarium space and support services for life science investigators, has completed a major renovation of its multi-user facility in Research Triangle Park. Boston-based Indigo Agriculture, which has an expanding facility in Research Triangle Park, has launched an online grain sales platform called MarketPlace that is supported by the closing of a $250 million Series E round of financing. Precision BioSciences, a Durham-based genome editing company, has formed a strategic collaboration potentially worth more than $445 million with global biopharmaceutical company Gilead Sciences, to develop new therapies aimed at curing hepatitis B infections. Raleigh-based UVision360 has achieved a dual-indication clearance from the U.S. Food and Drug Administration for its all-in-one LUMINELLE DTx Hysteroscopy System to be used clinically for hysteroscopy and cystoscopy in women. Durham-based Mycovia Pharmaceuticals, formerly Viamet Pharmaceuticals, has begun two Phase 3 clinical trials of its lead drug candidate for treating recurrent yeast infections in women.